Here are three tips that we feel need the most attention when buying flowers. It is important to note that patio pots/hanging baskets have different water requirements than plants in the ground. More water is needed as the plant grows throughout the season and also during hot or windy weather. Both over watering and under watering a plant will have negative effects on the plant overtime. Generally, plants should be watered when the soil is dry to the touch. Plants in the full sun will require much more water than those in the shade. Watering is a critical element to healthy plants. If you can’t make this regular commitment because you are leaving for a few days move your containers into a shadier location for the temporary time being. 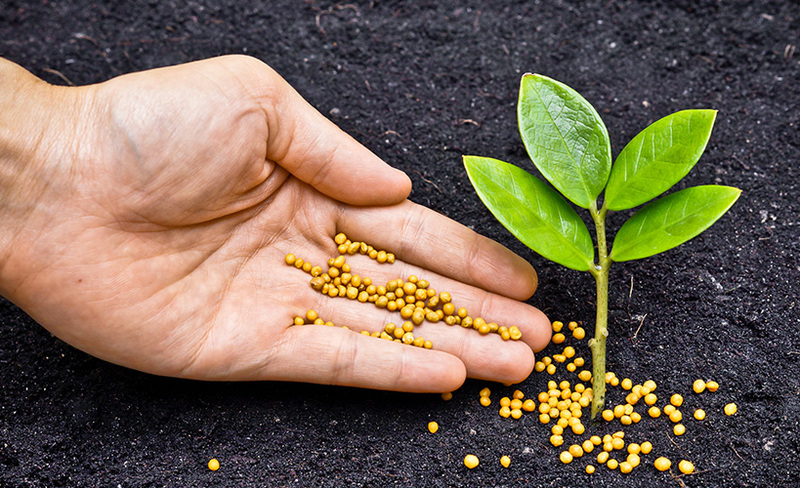 Fertilizing is also an important step to healthy plants. There is a huge difference in plants that have been fertilized on a regular basis than to those that have not. Fertilizing helps plants grow, maintains the dark green colour and increases the bloom quality and quantity over time. There are two types of fertilizers that work well for the plants we grow. 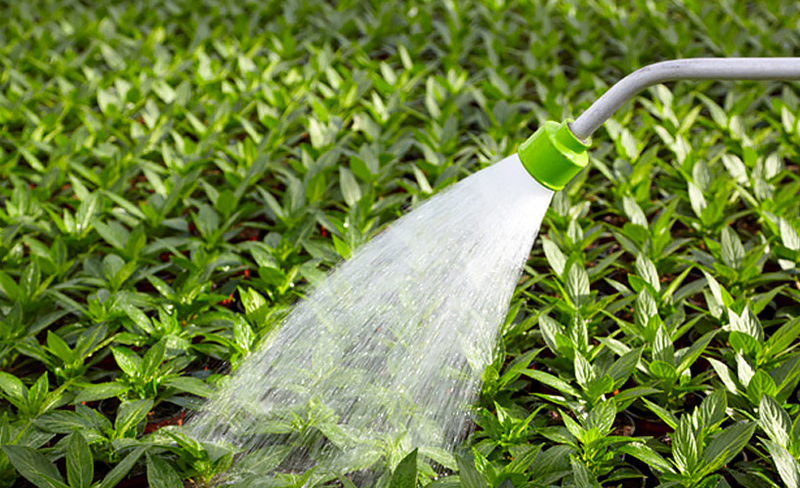 Liquid fertilizers should be applied to your plants about once a week. Any well balanced fertilizers such as 15-30-15 or 20-20-20 are excellent starting points. It is important to check with product labels for proper usage. Weaker fertilizers are not very effective and stronger fertilizer concentrations may burn your plants. Slow release fertilizers are very effective as the release small quantities of nutrients over time as you water. Applying the appropriate amounts of slow release fertilizers in containers or flower beds eliminates or reduces the need for liquid feed. This type of fertilizer usually lasts a few months and can be placed right on top of the soil and forgotten about until it is needed again. This product works great for gardeners who are guilty of under fertilizing. Along with watering and fertilizing, plant maintenance is necessary throughout the flower season. 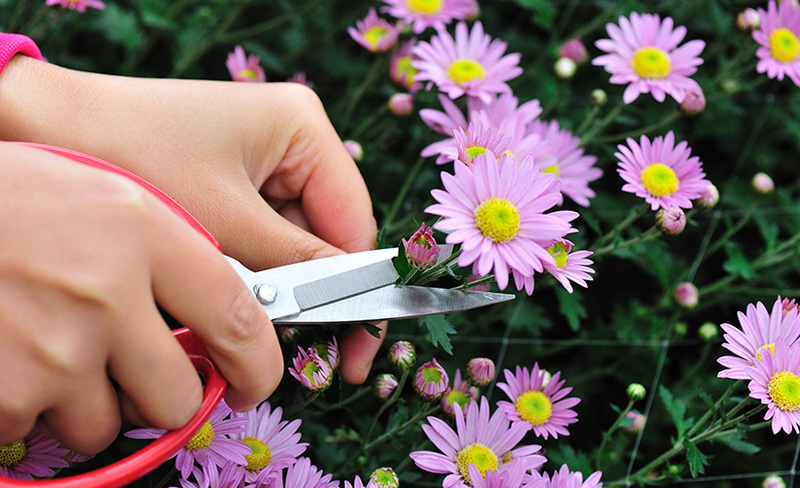 These simple tasks include dead heading, trimming and re-potting. The removal of old blooms, aka dead heading, allows the plant to encourage more flowering or improve the overall appearance. This can be done by pinching with your fingers or with the use of scissors. You will be rewarded with the benefits over time. Not all plants require this additional care as many old flowers will fall off on their own. Keep in mind this usually means a little mess below the plant on the floor. Trimming is not something that needs to be done very often or necessary on all types of plants. A general rule of thumb is the more vigorous trailing plants enjoy a plant cut from time to time. This is more important in container/basket gardening as opposed to in the ground where they have lots of room to grow and plenty of moisture. The removal of a few inches of growth and the ends of older shoots and branches will encourage younger, more productive growth relatively quickly. It never hurts to apply a nice application of fertilizer after this is completed. It is normal for plants to outgrow the container they are purchased in. If given a lot of attention (watering, fertilizing, and trimming) on a regular basis they may be fine in these containers. Generally, this is not the case and it is recommended that plants in smaller hanging baskets or patio pots be stepped up or re-potted into a larger container. This will help reduce watering frequency and allow roots to take advantage of the extra soil capacity during the growing season. We feel that the bigger the container/basket the better for you and the plant. This doesn’t mean we suggest you go out and buy the biggest combo available, it simply means as plants grow they require more space in the soil as well. You would hate to wear the same pair of shoes as you did when you were a kid. Plants feel the same way. Just remember plants grow on their own, they just need a little help from you!